Here's Ace Frehley and Paul Stanley covering "Fire And Water" by Free on Ace's new cover album "Origins Vol.1". "Our thoughts and prayers are with the family, friends, and fans of Prince. He was an iconic musician and performer who will be sorely missed." We would like to make it a point to remember musician, producer, road manager and songwriter Sean Delaney who passed away on April 13, 2003. Sean was known by some fans and people in the KISS camp as the "the fifth member of KISS." Prentice John Delaney Jr. (January 8, 1945 - April 13, 2003), better known as Sean Delaney, was an American musician, producer, road manager and songwriter, best known for his work with the rock band KISS from the early 1970s until the early 1980s. He is largely credited with developing their choreography onstage, and co-wrote many songs with Paul Stanley, including "Mr. Speed", "Makin' Love", and "Take Me" from the 1976 album Rock and Roll Over, and "All American Man" from the studio side of the 1977 album Alive II. 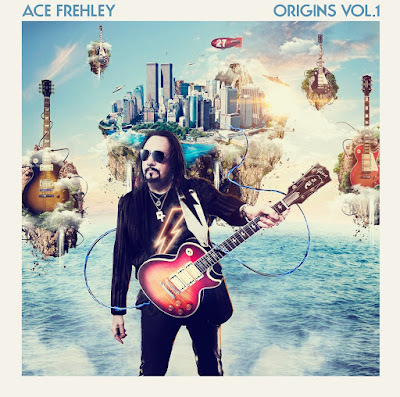 He also co-wrote the song "Rocket Ride" with Ace Frehley for the same album, a song that remained a staple of Frehley's live set throughout his solo career and was used as the title of his 2008 tour. He simultaneously produced and co-wrote songs for Gene Simmons' and Peter Criss' 1978 self-titled solo albums. He is the only person to have co-written songs with each original member of KISS. 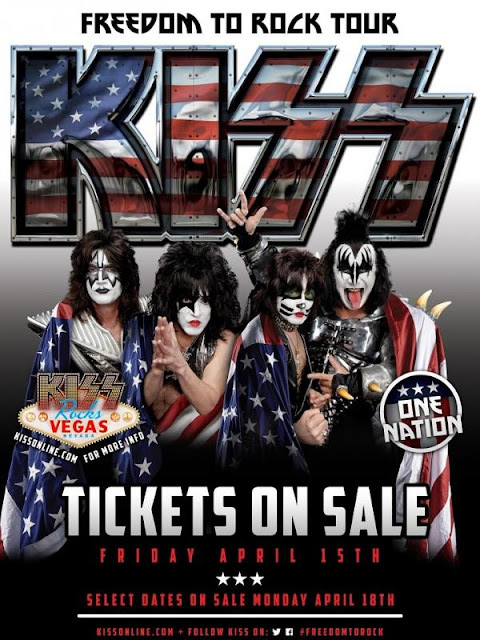 He is often referred to by fans and those close to the band as "the fifth member of KISS." Gene had sent us a phoney press release and press packet. Listing all the places they had been playing and 'Reviews' of their performances. All were bogus. I remember laughing and telling Bill, 'If they have gone to this extent to get our attention, let's go see them.' And we did. I thought it was absolutely the worst thing that could possibly hit, I mean worst. It was so unlike anything that it had to be incredible. It was new, it was something that wasn't being done. ... So try to imagine, in a small rehearsal studio, four guys are up there playing. In front of them are Bill, Neil, Joyce, and myself. They finished the first song and no applause. Gene (Simmons) walks down to Neil Bogart, grabs both of his hands, and makes him applaud ... and Neil started applauding because he was scared to death. And I said to myself at that moment, "This I wanna be involved in" ... because that's the kind of balls you have to have to do anything. For most of Delaney's tenure with KISS, he acted in various capacities behind the scenes while the band was on tour. 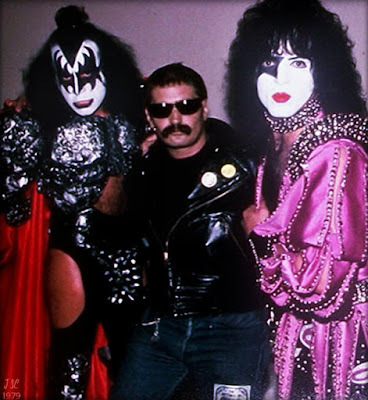 Part choreographer, part roadie and part driver would have been an accurate description for Delaney's job before KISS became widely commercially successful. In the early days, he coached the band as to how to move onstage with the makeup and costumes on, including several signature moves (such as the swaying guitar moves at the end of "Deuce") that have been a staple of the live set for over 35 years. After the band became a worldwide success, he was afforded several opportunities to produce up-and-coming bands, including Billy Squier's first band Piper in 1977, but perhaps his most well known production credit is for Gene Simmons' 1978 self-titled solo album. He also produced KISS' first greatest hits compilation Double Platinum, also released in 1978, which included a brand-new version of the KISS classic "Strutter," dubbed "Strutter '78". Delaney has also claimed to have co-written the KISS songs "Love Gun", "I Want You" and "Rock Bottom", although without receiving credit. Delaney was brought in to produce Gene Simmons' album in 1978. In Gene's case, Delaney was asked at the outset to produce the album, and even had a co-writing credit with the song "Living In Sin," featuring notable luminaries Cher and Bob Seger on backup vocals. A big part of the production process was indubitably coordinating schedules between the many notable guest appearances on the album. In addition to the aforementioned stars, Joe Perry, Rick Nielsen, and Donna Summer all appeared on the album among many others. Delaney was asked while producing Simmons' solo album to also contribute to Criss' solo venture. Criss was involved in a car accident around this time, and because of this and other behind-the-scenes distractions, was incapable of getting any new original material together. After delving into the back catalogs of former bands Lips and Chelsea for any remaining material he and Stan Penridge had written, and after sprinkling in a couple of covers, the drummer found himself still short of a full album. Knowing that Delaney had songs that would suit the album, Neil Bogart insisted that Delaney write songs for the album and help Criss see it through to the end of the process. Delaney was initially reluctant because of his involvement with Simmons' album, but Bogart used the solo album Delaney himself was planning on doing as leverage to pressure him into doing it, as Casablanca was slated to be the record label he would ultimately release it on. Delaney wrote "I Can't Stop The Rain" and "Rock Me, Baby" off of Criss' solo album, both of which he also shares production credit for; those two songs and "Easy Thing" (written by Criss/Penridge) were co-produced by Vini Poncia/Peter Criss/Sean Delaney. This fact that Delaney worked on both albums is remarkable, as all four albums were allegedly closely guarded from each other by each KISS member and KISS management, with no other member's (or any individual associated with any of the other four solos) involvement or input. Simmons granted Delaney special dispensation to work on Criss' album, knowing how critical it was for all four to be completed in a timely fashion. 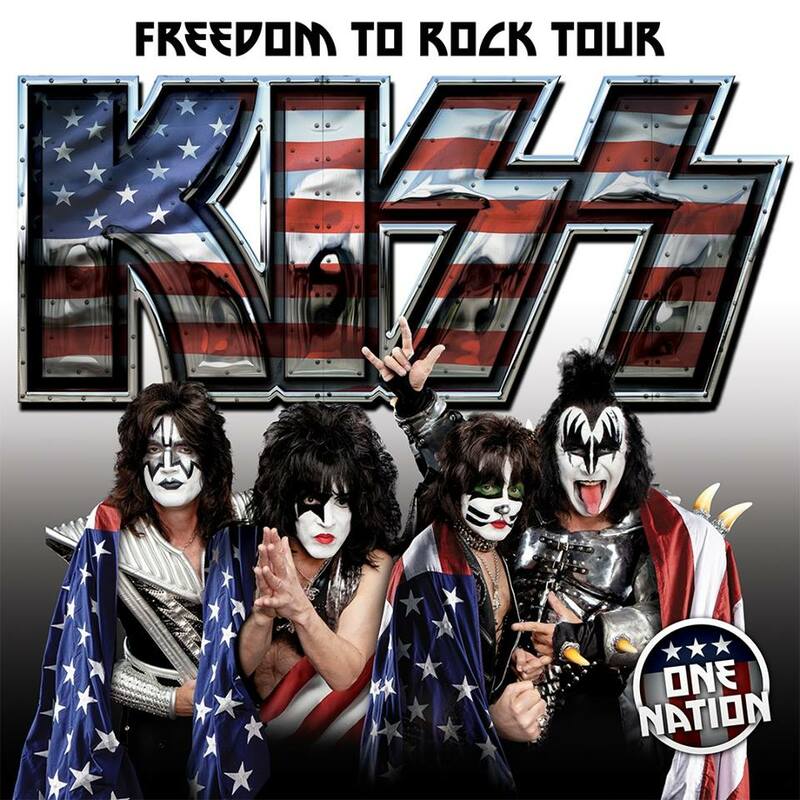 America’s # 1 Gold Record Award Winning Group of all time KISS, has announced its 2016 Summer American “Freedom To Rock” Tour and will visit 36+ cities nationwide with more markets being announced soon. The long-awaited & highly anticipated “Freedom To Rock” Tour will kick off on July 7th in Boise, Idaho and will travel the country throughout July and August and will close September 10th in Huntington, West Virginia. Tickets will go on sale beginning Friday April 15th for all concert dates (The Grand Rapids, MI and Youngstown, OH shows go on sale Monday April 18th). A KISS ARMY Fan Club Exclusive Presale will begin April 12th.